Self portrait by Breivik. The home-made insignia reads: "Marxist hunter - Norway - Multiculti traitor hunting permit"
After the September 11, 2001 the world became acquainted with Muslim extremism when four commercial airlines were hijacked by Al-Quaeda and crashed into the world trade center then the Pentagon. Our world had changed and we were afraid. Ten years passed and in that time a war against terror was initiated, a new American president was elected, and the fear of terror on friendly soil diminished slightly. Last week we witnessed events that reignited our fears, but this time it wasn’t because of Muslim extremists. In what can only be described as unexpected, horrific, and extreme an unidentified gunman shot and killed many at a youth camp in Oslo, Norway. The same day, a bomb exploded not too far away on government quarters killing and injuring many more. The preliminary reports from police and local media stated that around 17 people were confirmed dead. As days passed, the death toll grew higher with some news outlets reporting over 90 deaths and many more missing. Breivik had a relatively unremarkable upbringing growing up in a wealthy suburb of western Oslo and raised by his mother. As a teen, he completed mandatory national service which was where he was trained to use weaponry. Although he seemed to have stayed out of trouble and has no prior record with police, he began to grow increasingly interested in ultra right wing politics. His father Jens David Breivik was horrified by his son’s actions. “I don’t feel like his father,” he told the Swedish newspaper Expressen. “How could he just stand there and kill so many innocent people and just seem to think that what he did was OK? He should have taken his own life, too.” The Senior Breivik and his son had been estranged for quite some time. Reports say that the trial will take about a year. 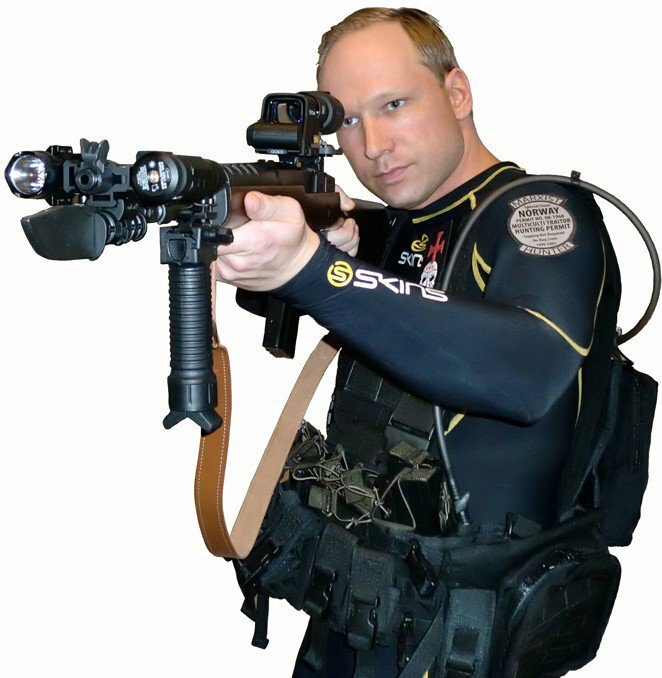 In the meantime, police are investigating to see if Breivik may have had any accomplices. So far it looks as if he acted alone although there may be others who are in league with his dangerous worldviews. Norway is still in shock because it is rare that terrorist attacks occur in their country. On Monday July 25, Norway’s royal family joined Prime Minister Jens Stoltenberg at the University of Oslo for a moment of silence. Canadian Prime Minister Stephen Harper has offered his condolences saying he was “shocked and intensely saddened.” He lent our nation’s support stating that Canada stands with Norway during this difficult time.